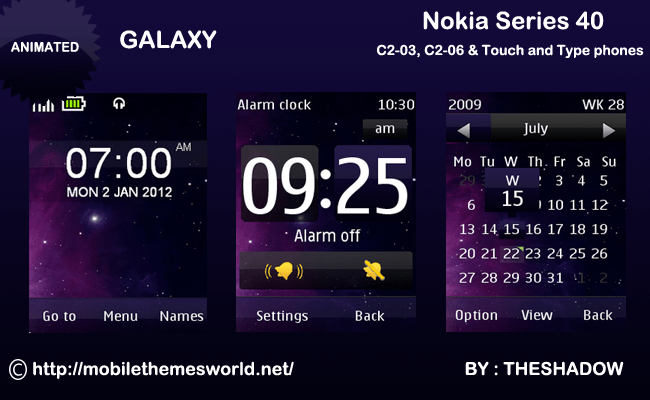 Here is my first theme this New Year 2012.Wish you all a very Happy and Prosperous New Year 2012.Hope you all like my previous Nokia C2-03 Themes.Now presenting another Touch and type theme Galaxy theme for Nokia C2-03 & C2-06, x3-02 and 240 x 320 px devices by TheShadow. 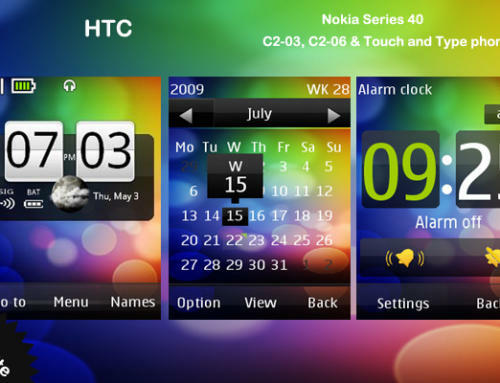 Hello, i really loved this theme but on my Nokia X3-02 appears a little error when i´m about to write a mesase or when i make a call, appears a turquoise background. Hi. 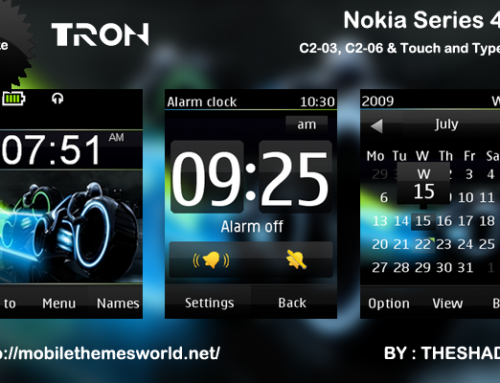 I also loved this theme, its amazing. Great work! But I have the same problem as Nay. 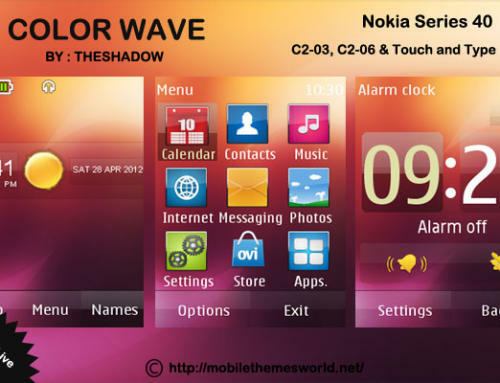 In the Nokia X3-02 when something is loading or when I access to the messages directly from the main screen, etc… it appears a turquoise background. I downloaded the theme from here and from the ovi store, but is the same problem. Can you please fix it? I really liked the theme, but that turquoise background is annoying for me. I can post some images of the issue if you want me to do it, so you can see it clearly. I’ll wait for your answer. Again, grat work! Sorry if i made a mistake, English is not my natal language. 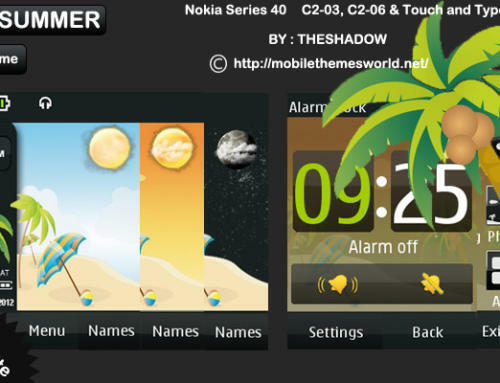 Can you please make more themes? 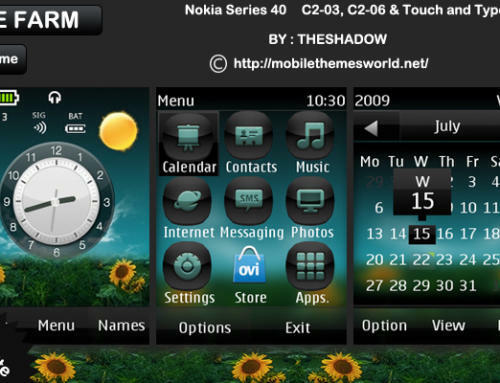 I can’t afford better smartphones and the only way I can spice my old phone is thru themes, and your themes are the best I’ve scouted in the internets.